Belgian PM grilled on Catalonia: "It's not our crisis!" The Catalan anthem has been sung in Brussels by the ousted leader Carles Puigdemont in front of dozens of Catalan mayors, putting Belgium increasingly in the spotlight in the Catalonia crisis. As pro-independence supporters held a general strike across Catalonia on Wednesday, there is political tension in Belgium over the self-imposed exile there of Puigdemont, who was sacked along with his regional government after they declared independence from Spain. Spanish judges want Puigdemont to appear before them, but a court in Brussels ruled on Monday that Puigdemont can remain free in Belgium until it decides whether he should be extradited to Spain. The Belgian Prime Minister was questioned in parliament by MPs about the presence of Puigdemont. 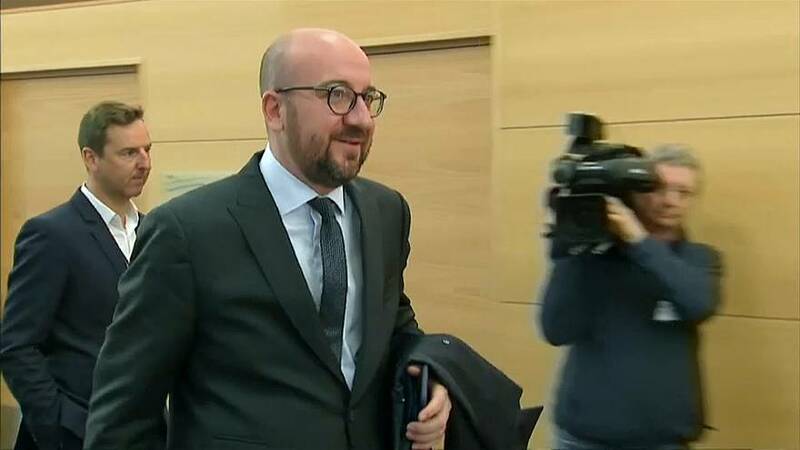 Charles Michel said: “Mr Puigdemont is a European citizen who must be held accountable for his actions just like any other European citizen, with rights and obligations … but no privileges. He isn’t a sub-citizen either. “That’s the belief we share in terms of democracy and the rule of law. In the Spanish parliament on Wednesday, Prime Minister Mariano Rajoy was also questioned about the sacking of Puigdemont’s government. “A regional leader cannot say the Constitution does not apply in his territory,” said Rajoy.